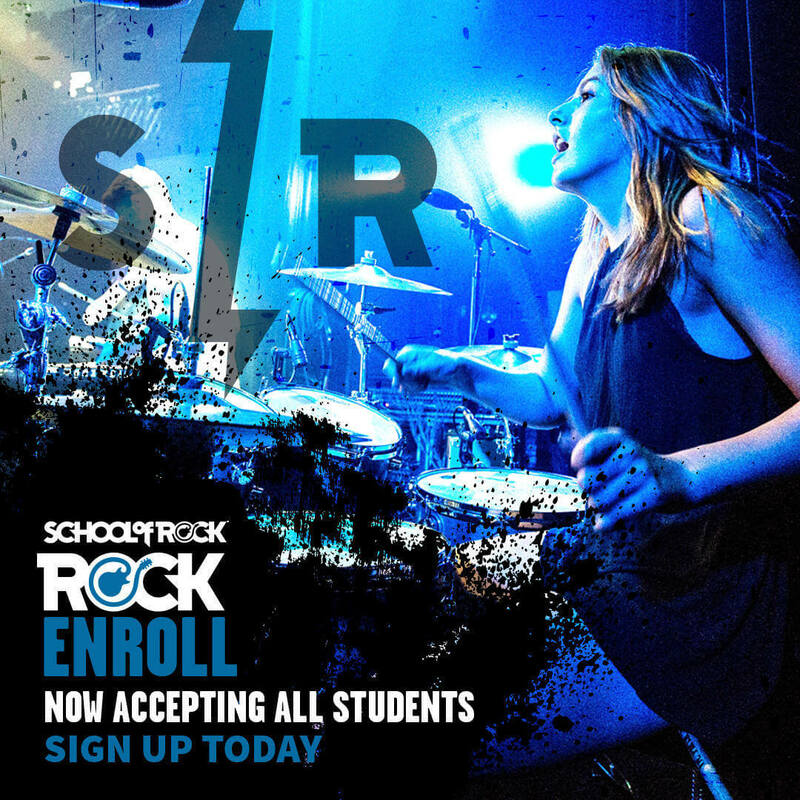 School of Rock Issaquah’s music teachers are experienced musicians devoted to helping students attain musical proficiency. 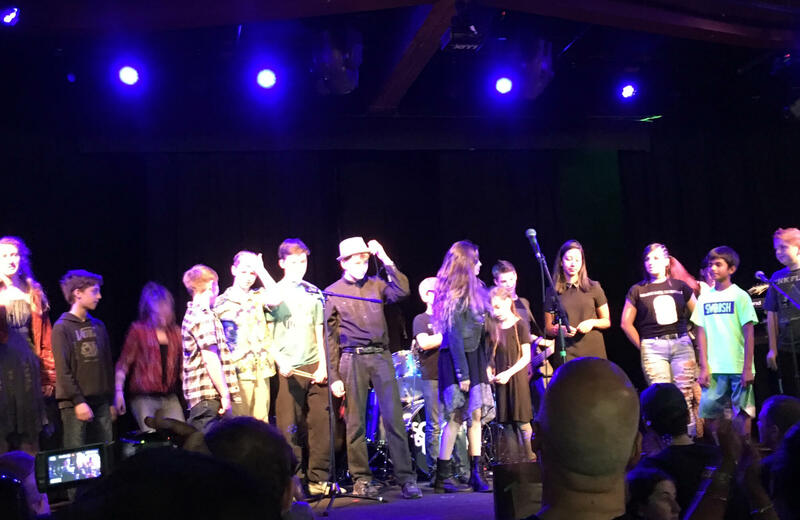 From singing to drums to guitar, our Issaquah music instructors inspire and teach students to perform live. Zakkary Hale was born and raised in Salt Lake City, Utah. Zakk studied with Terence Dale Hansen from the ages of five to 15. His focus was theory, jazz composition and overall shredding. Zakk’s dad was a drummer and he learned a lot from him. Zakk has done session work with Vinnie Colaiuta, Jonas Persch and Vendetta Red to name a few. 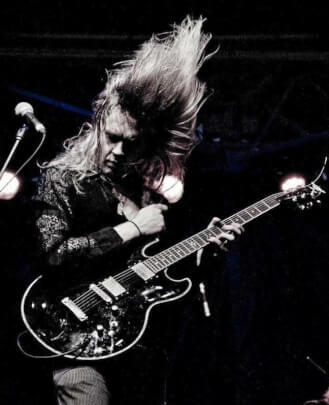 Zakk was an instructor for School of Rock in Sandy, Utah for eight years before heading to Seattle and eventually landing here with us at School of Rock Issaquah. 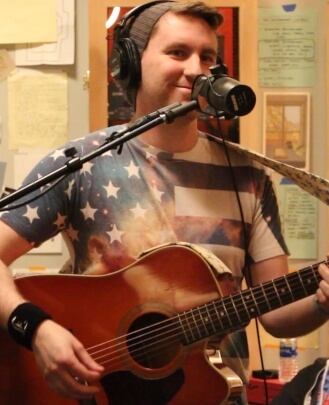 Zakk’s primary instrument is guitar but he is also an accomplished vocalist, bassist, songwriter and drummer. You can see Zakk out performing with his prog-alt band, Melodramus. 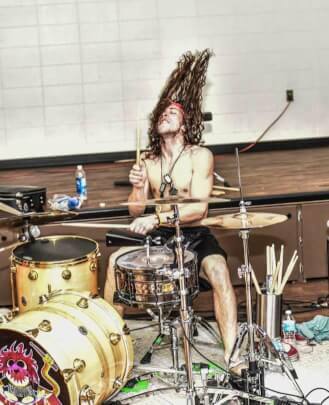 Cole has been playing and teaching drums for 10 years. 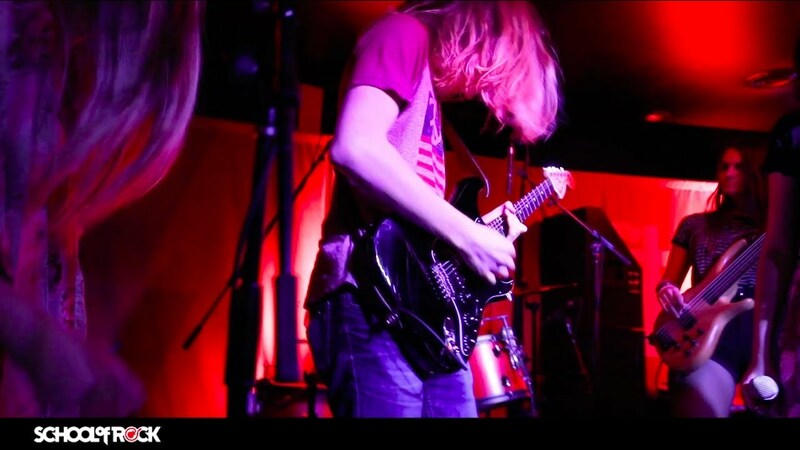 Having studied under acclaimed drummers such as Mike Johnston, Mark Guiliana and Robert Searight, Cole has developed a proficiency in a number of styles including rock, pop, funk, R&B, blues and jazz. 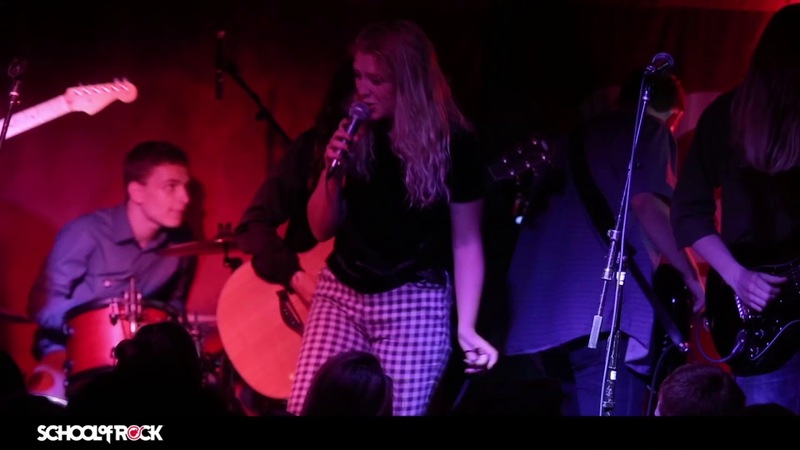 You can see Cole playing live in the Pacific Northwest with artist Harrison B.
Noah Martin has read music for 25 years and is proficient on multiple instruments. He is a professional musician from Virginia Beach, VA, most recognized for his bass guitar work with Nuclear Blast Records artist, Arsis. He has appeared on releases for Arsis, Jake Dreyer (lead guitar, Iced Earth), Suspyre, Structure of Inhumanity, Dark Empire, Blood Promise and Lilitu. He can be seen in music videos for Arsis, Marty Friedman, Structure of Inhumanity and Blood Promise. 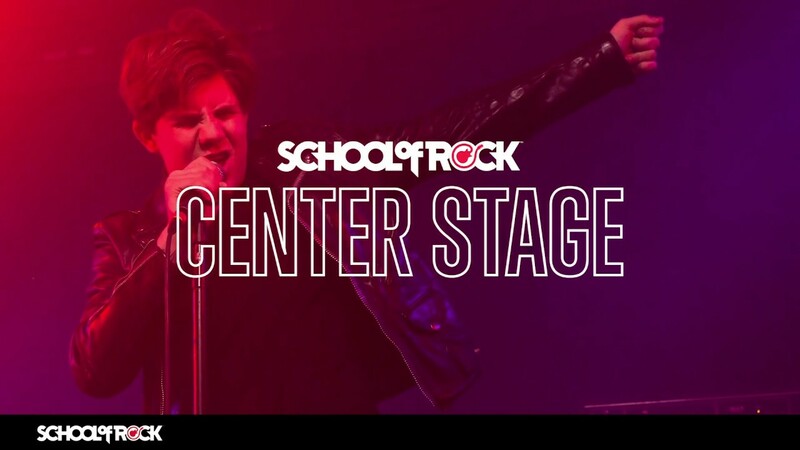 In addition to a decade of international touring and recording experience, he earned a Bachelor’s of Science in Interdisciplinary Studies of Music from Old Dominion University in Norfolk, VA. 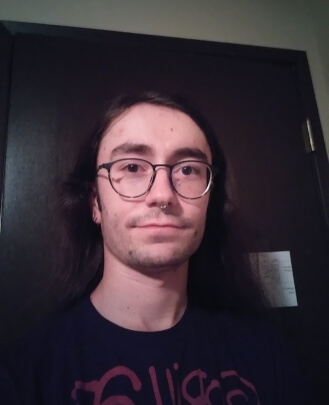 Here, Noah tutored other music theory students, served as the sound designer for the Video Game Development Club and was invited to give a guest lecture. Securing a Sony Music internship at Columbia Records, he worked as an A&R coordinator during the 2015 Grammy Awards season. When Noah isn’t writing or touring with Arsis, he continues to make music with friends and inspire others to pursue music. 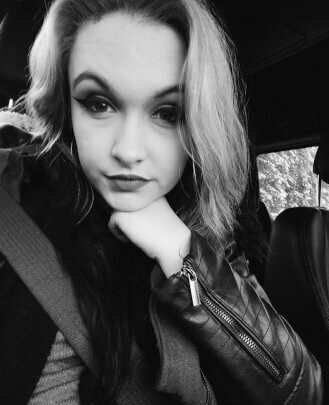 Sierra Rae has a passion for music that derives from her early childhood. Sierra began learning the art of music from a very young age. Growing up she was taught classical fundamentals both in piano and vocals. At the age of 12, she branched out and began exploring other genres such as classic rock, R&B/soul, metal, jazz and even more classical. She attended Salt Lake School for the Performing Arts in high school, focusing on music theory, composition and piano. 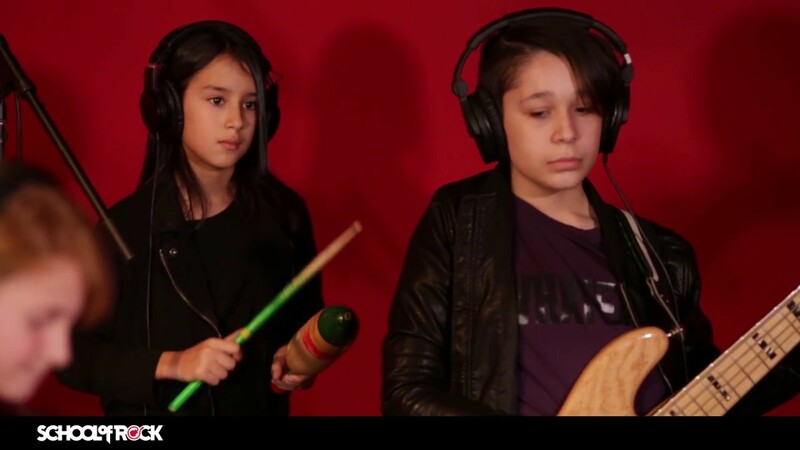 Being in a very musically active family, Sierra and her cousin Nick Petty started the soul/funk band Harlem Shuffle in 2010. They went on to gig and perform all over Utah, record demos and rough tracks, and were eventually invited to attend the NAMM Battle of the Bands in Anaheim, CA. 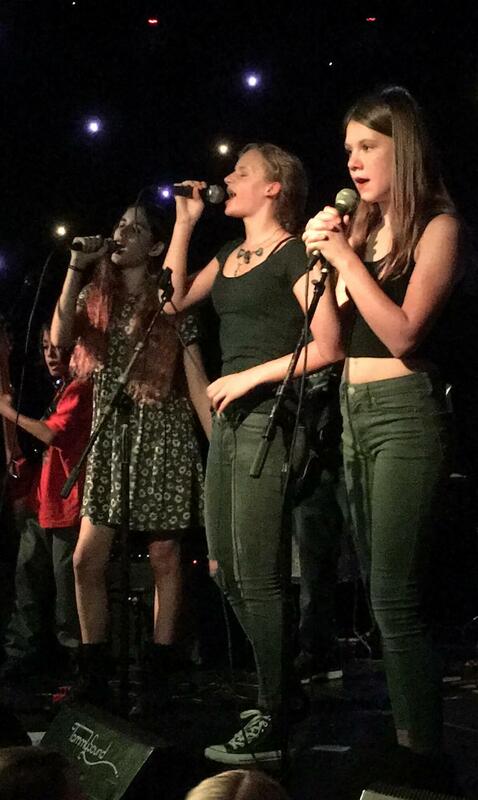 There they won third place overall, and Sierra won Best Vocalist in the competition. 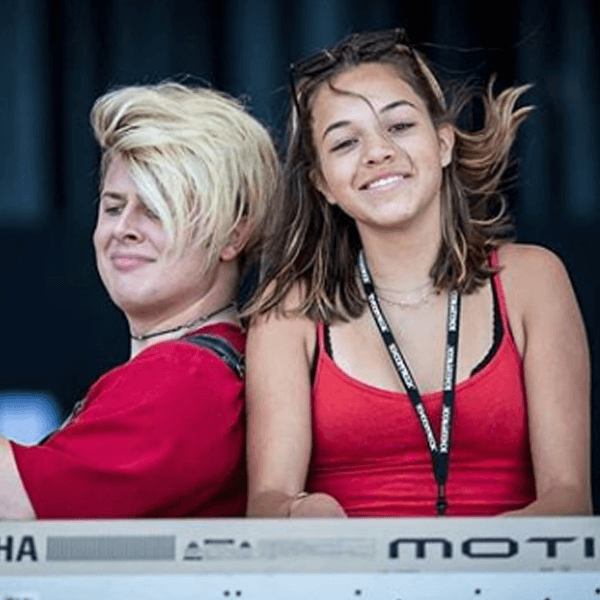 Sierra got certified as a Vocal Instructor through BAST Teaching Course with Lisa Haulpert, and began instructing keyboards and vocals at School of Rock Sandy in 2012. 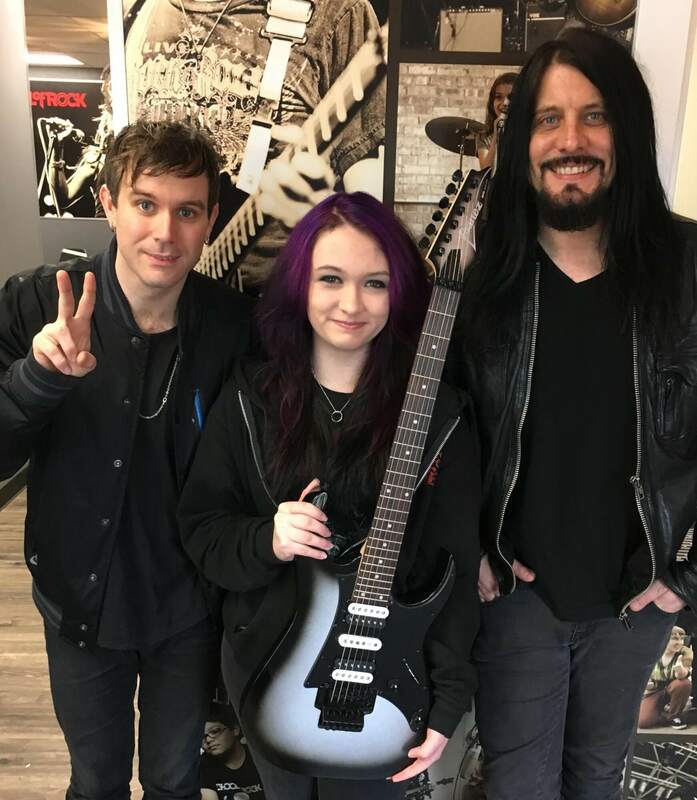 There she met Zakkary Hale, frontman/lead guitarist/vocalist for Melodramus. 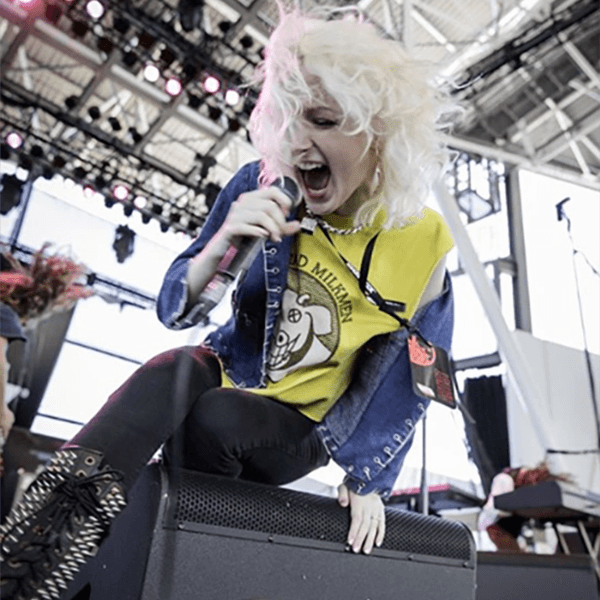 At first, she collaborated and performed on Zakk's brother The Rose Phantom's albums. Zakkary then asked her to join Melodramus as the keyboardist and co-vocalist. 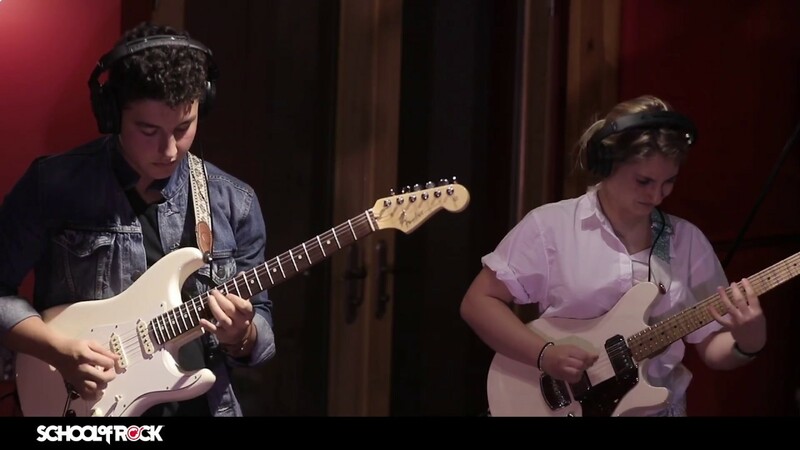 She also contributes guitar parts and has written several songs for the band. 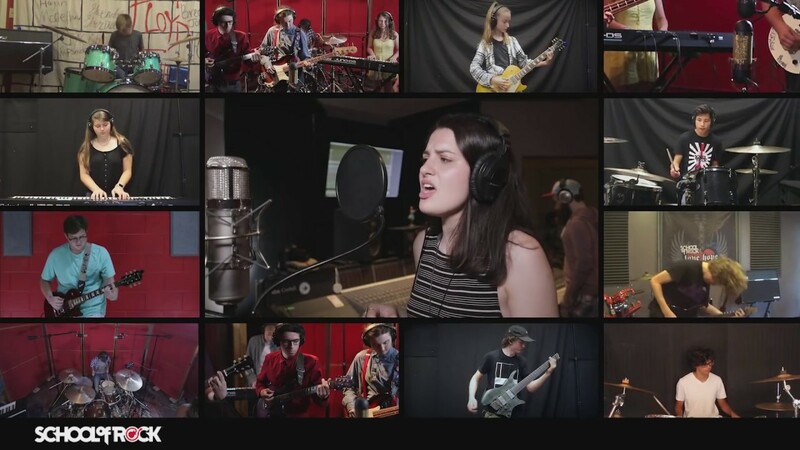 They moved from Salt Lake City to Seattle as a band in 2015 to embrace the flourishing music scene and are gearing up to record their third full length CD/LP album with producer/engineer Matt Winegar (Primus, Coheed and Cambria, Faith No More). 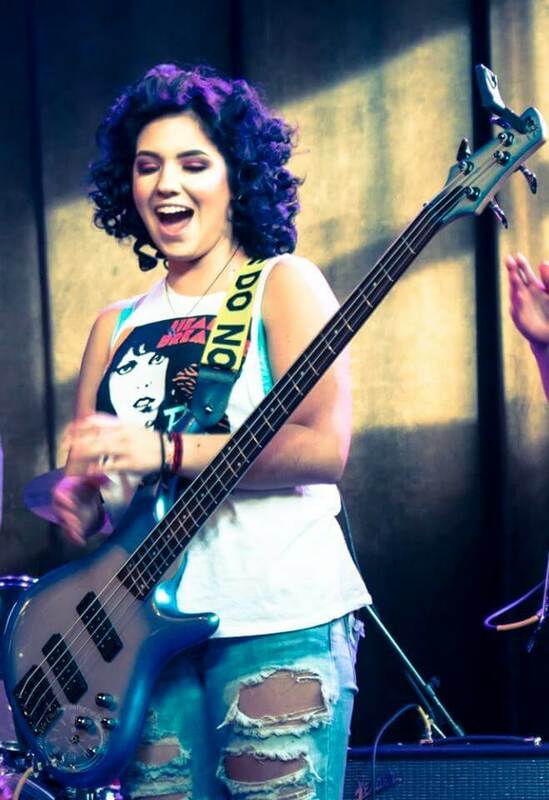 Sierra thoroughly loves what she does and enjoys sharing the magic of music with many other aspiring musicians. Rahul Mathew is a drummer, guitarist and bassist. 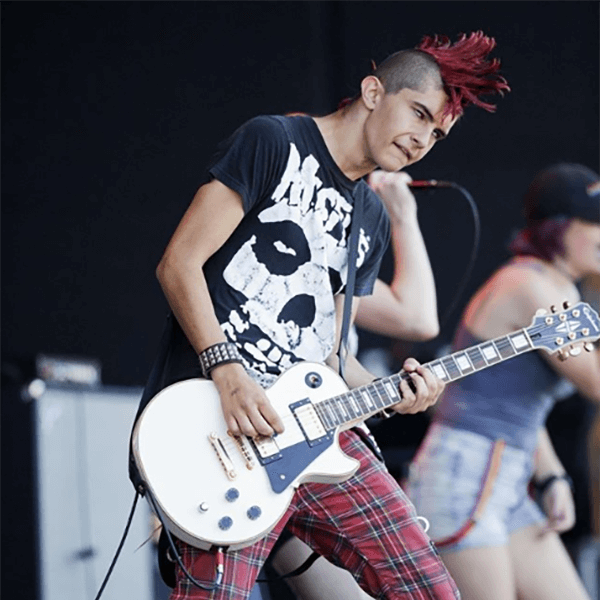 He is currently the drummer for two bands: hard rock band Always Naked and punk duo Karoshi. 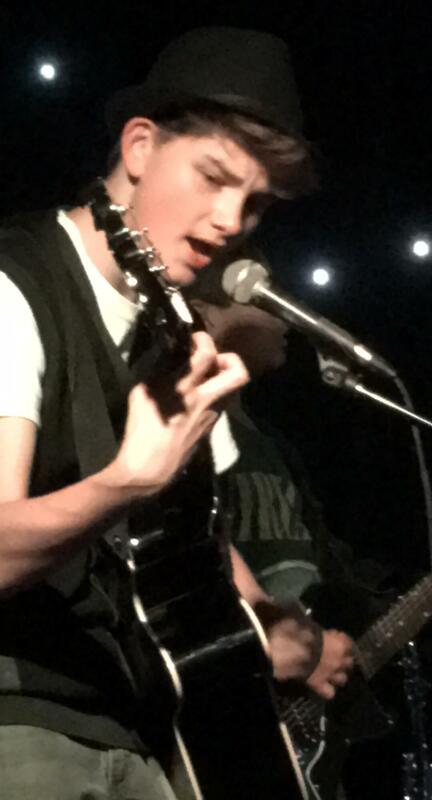 He has experience recording and performing in the many studios and venues around Seattle and is currently attending the University of Washington, studying Sociology with a minor in Music. 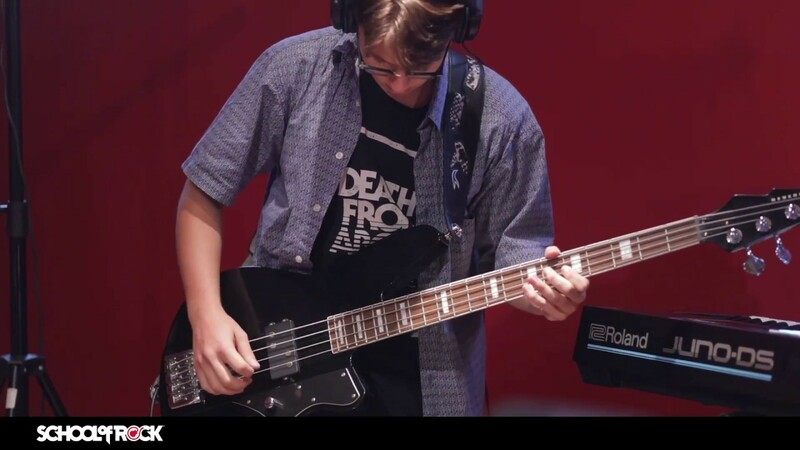 Having participated in a School of Rock camp when he was younger, he knows firsthand how this program encourages kids to play music and find something that they love doing. 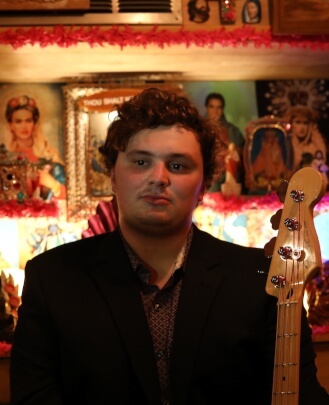 Max Cobb is a professional guitarist, bassist, pianist and vocalist based in the Seattle area. 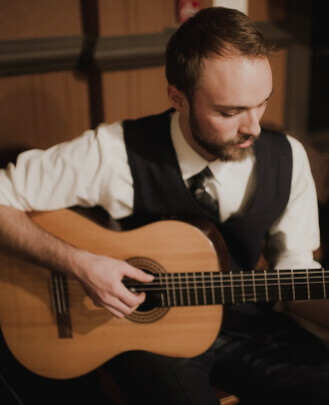 After studying jazz theory and guitar performance at Gonzaga University, he has gone on to perform professionally at weddings and events in the Northwest and Austin, TX since 2012. When he's not performing, Max teaches music to students of all ages. 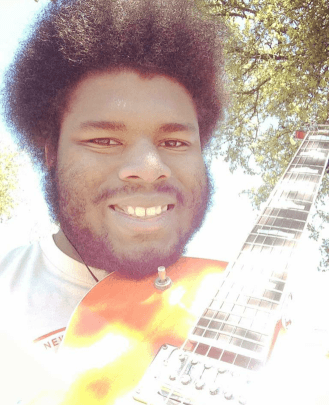 He's been teaching private guitar and piano lessons for over five years, working with kids, adults, handicapped adults and seniors. Conor Fortune is a drummer, pianist and singer who just recently moved to Seattle from Chicago where he studied jazz at Columbia College Chicago. He is a proficient jazz, funk and rock musician who has had experience teaching children ranging from six all the way up to adults. When he's not teaching he plays in a local rock band in the city. 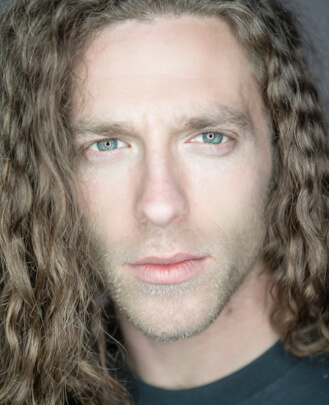 Conor can teach anything from classical to jazz and is thrilled to be teaching here at School of Rock. 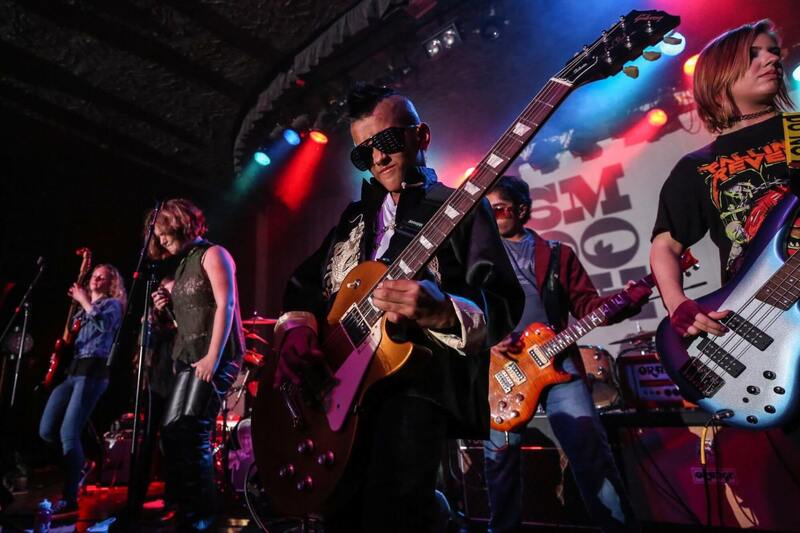 Duffy Delgado has been playing guitar for over 35 years in the NW with bands such as Palooka, The Hipsters, History of Thorns, The Chauffeur, Confused and Ruff Justice. 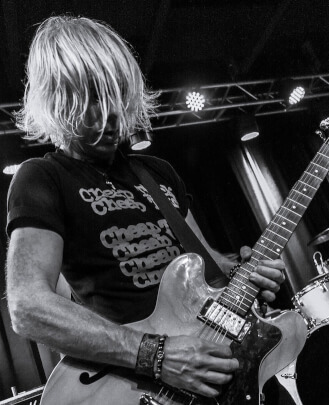 His live performances have given him the opportunity to share the stage with the likes of Alice In Chains, Candlebox, War Babies and Sweetwater, and has performed with members of Jerry Cantrell (solo), My Sister’s Machine, The Rockfords, Kim Virant, Jeff Rouse (Duff McKagan’s Loaded), Shawn Smith and The Posies. His studio experience throughout the years has partnered him with some of the best producers and engineers in the business at legendary studios such as Steve Lawson/Bad Animals with Brett Eliason (Pearl Jam, Heart, Mad Season, Screaming Trees), Laundry Room with Barrett Jones (Foo Fighters, Nirvana, Melvins, Bush, PUSA), Reciprocal with Chris Hanszek (Soundgarden, Green River) and the personal studio of the late Tom Pfaeffle (Nirvana, Black Crowes, Heart). 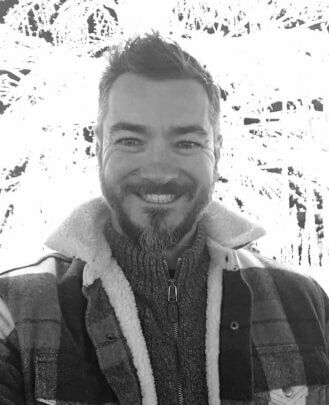 His teaching experience dates back to showing his own son Luke how to play before entering kindergarten and has since expanded to teaching students of all ages how to play guitar, bass, ukulele and even vocals at School of Rock Issaquah. 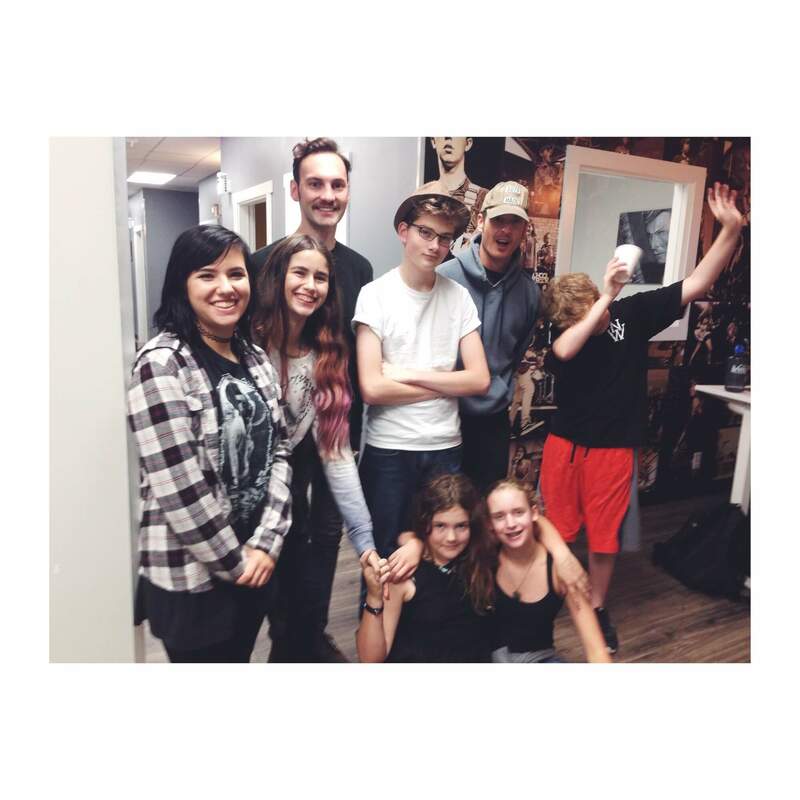 Preston is super stoked to be a new addition to the School of Rock staff. 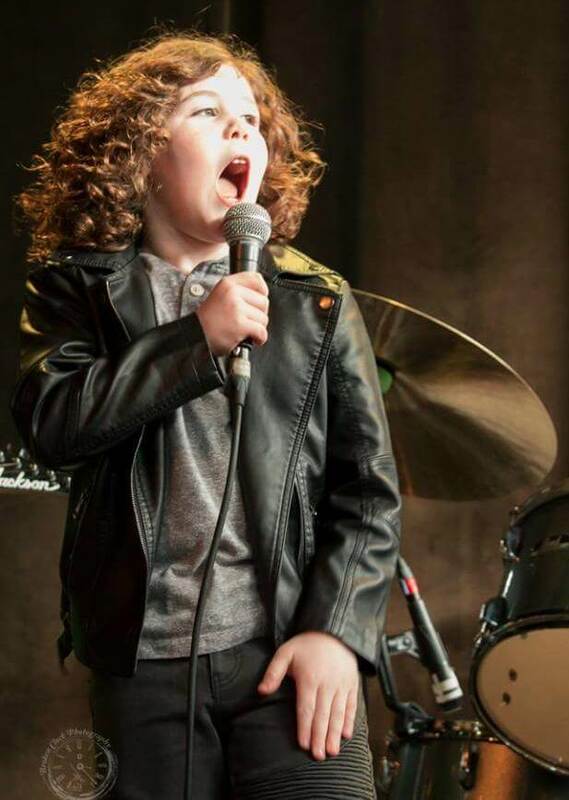 He grew up and lived in Sandy, Utah for most of his life, during which time he was fortunate enough to be a student of School of Rock for over five years. 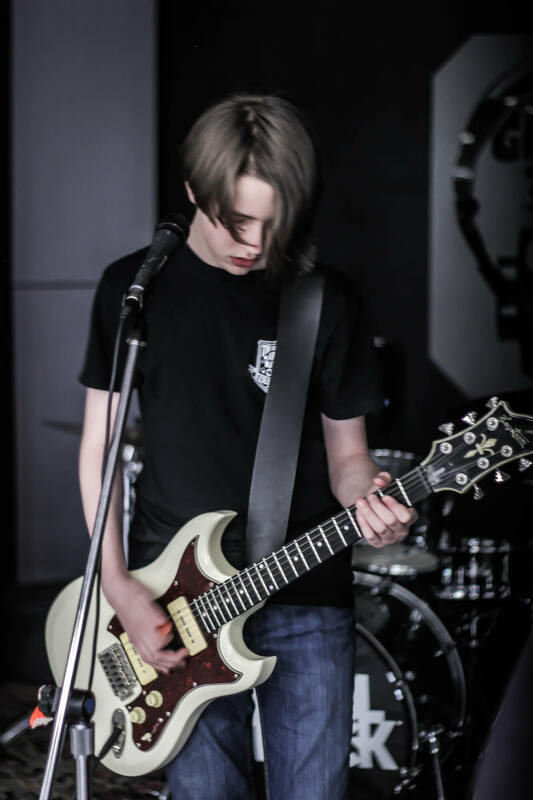 Getting to go to rock school after "real" school was something he always looked forward to. It was a place to unwind, both physically and mentally. 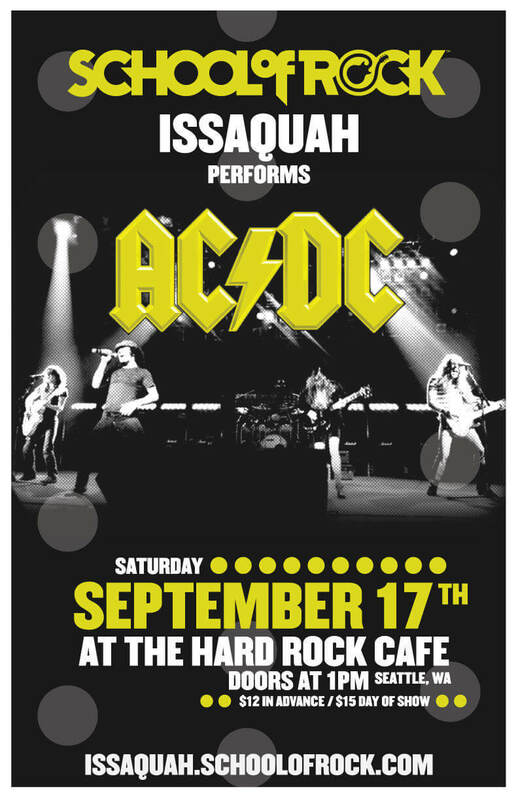 That's not to say School of Rock ISN'T a place that presents challenge - because it is, and it does. In a good way, though. Music is a fun kind of focus and discipline. It's a great way to push yourself, be creative and measure your own growth. Preston looks forward to meeting you all one by one. Shaun Crawford is originally from Dallas, Texas. 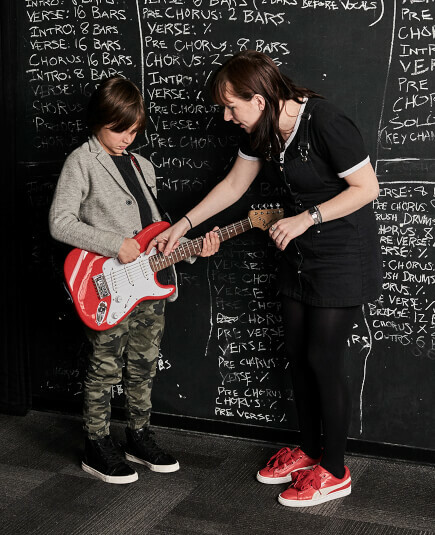 He teaches guitar and bass, as well as helps your kids get ready for the stage. Some of his favorite groups include The Temptations, The Beatles, St. Vincent, Slowdive and Run DMC. Shaun can’t wait to help introduce your children into the world of music and hopefully a life filled with art and adventures when it comes to being in a band. Drumming since age 12, Conner has amassed a decade's worth of experience playing hundreds of live performances in varying musical contexts with his own groups, as a touring/session musician, on recordings, in collegiate settings, one-off collaborations, solo performances and last minute fill-in gigs. 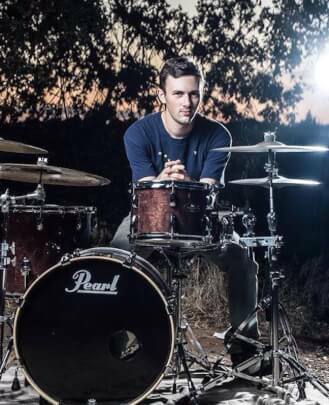 In 2015 Conner moved to L.A. and studied Drum Performance at Musicians Institute. That summer he co-founded YOY (formerly Pyjama-Mamas) with friends Daniel Seah and Moe Kogano. In addition to playing the drums, he has contributed to arrangements, lyrics, vocals and production to two records (Pyjama-Mamas' self-titled album and YOY's "The Inner Journey Goes Wrong"). 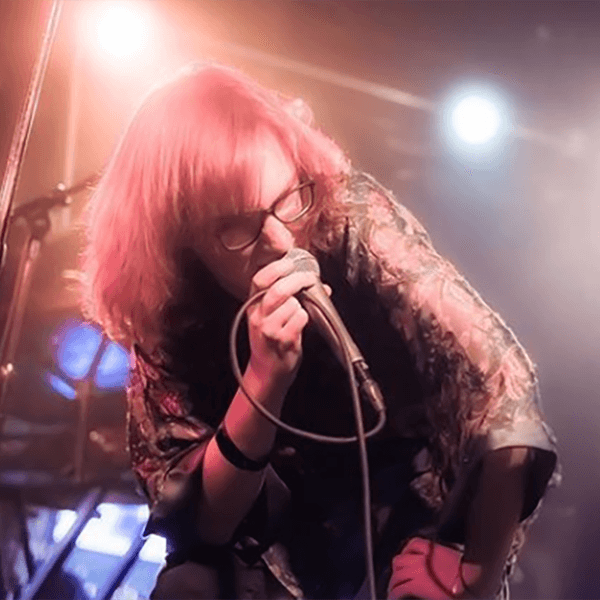 With a background in DIY ethos, he successfully booked 32 dates for YOY along the west coast between June and December 2018, as well as helped secure radio play for the band in multiple states. 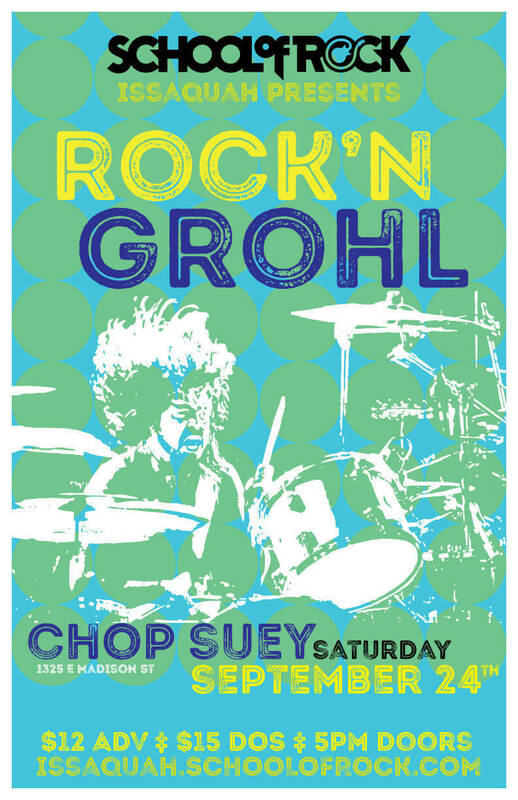 Conner Satyro is a 23-year old musician, touring/session drummer and instructor with School of Rock Issaquah. Chad Fondren is a father of two and a local music industry veteran. Currently he is also serving as Director of Sales for Disc Makers, the nation's largest CD/DVD/vinyl manufacturer. Over the last 20 years he has run a successful record label focusing on punk music, was Director of Operations for the Tacoma Symphony Orchestra, ran a local booking agency/concert production company and managed a studio teaching private trumpet lessons to kids. Chad earned his Bachelor's Degree in Music Business from Central Washington University, with a minor in Trumpet Performance. 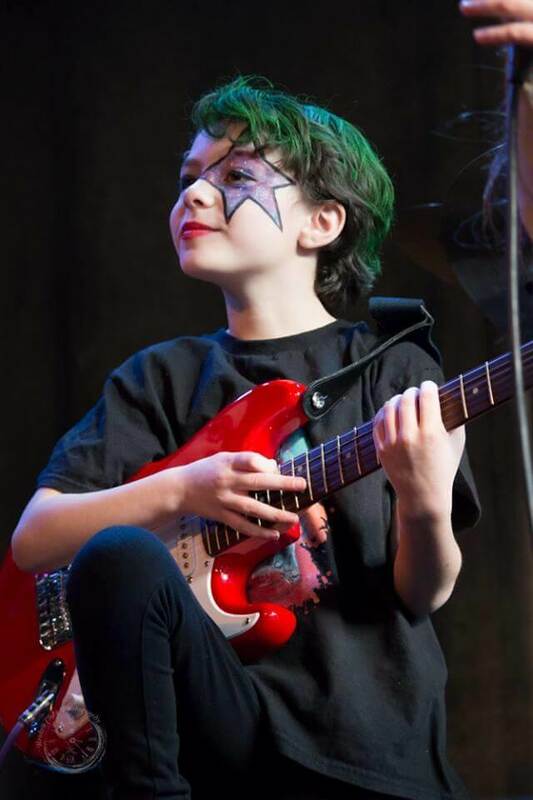 He is especially excited now in his mission at School of Rock Issaquah. 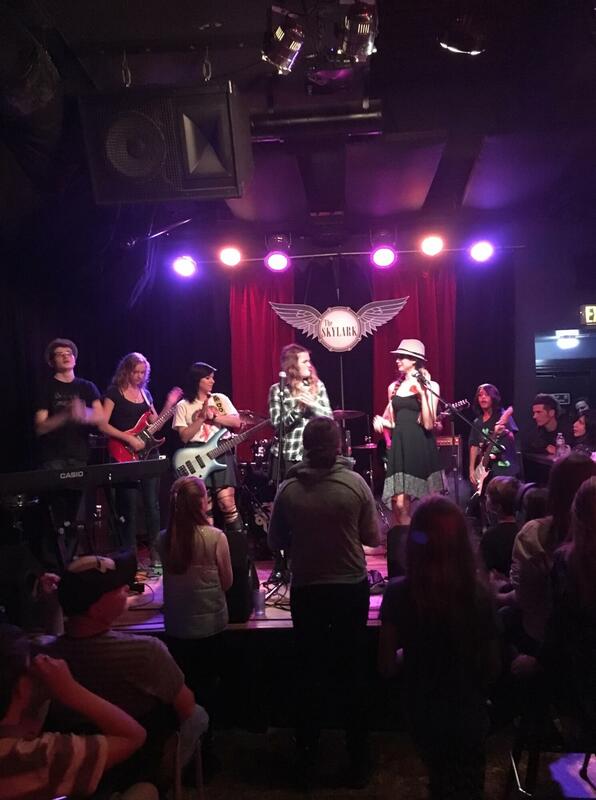 Bree Schmitt started out here as one of the founding students of School of Rock Issaquah. Now 18 years old, and rounding up her role as a student at the school, she hopes to help out Chad and Tracy in whatever way needed to further their plans to expand and better the way things run around here. 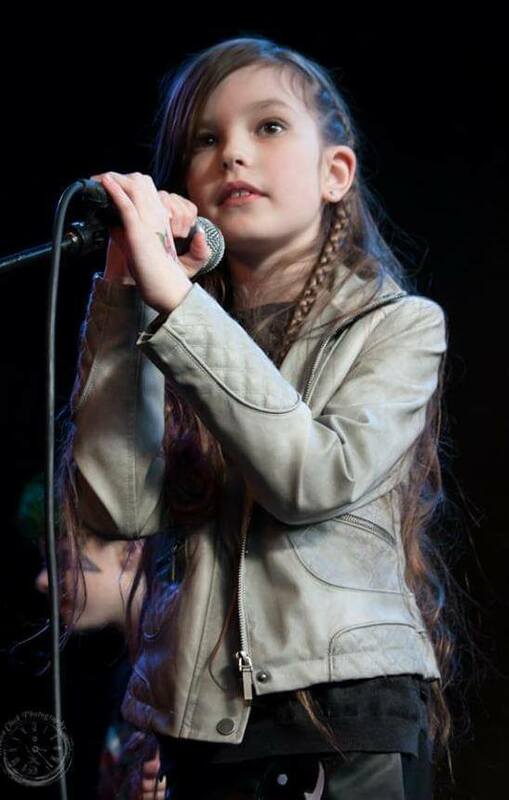 She has guitar, bass, piano and vocal experience from her time at School of Rock and previous choral and private lessons. Off stage she is a crochet artist and seamstress for her home business, Hazel's Web, which is a rebellion-inspired gothic handmade outlet. Calah Webb’s a homegrown Washington native with roots in Maple Valley. She was raised around every type of music you can imagine, from her grandpa’s bluegrass band to her dad’s fondness of Pearl Jam. Her dad is a part-time sound engineer so she’s been a backstage roadie almost all her life, tagging along on any show/fest/concert he put on. When she’s not hanging out in the music scene, she’s online playing video games or doing crazy makeup looks/nail art. Any creative outlet you can name, she loves. After having been in the salon/spa business for almost seven years, Calah’s ready to put away her nail polish and facial masks and focus on music. Trevor O’Loughlin is a bassist, composer and teacher in and around Seattle. 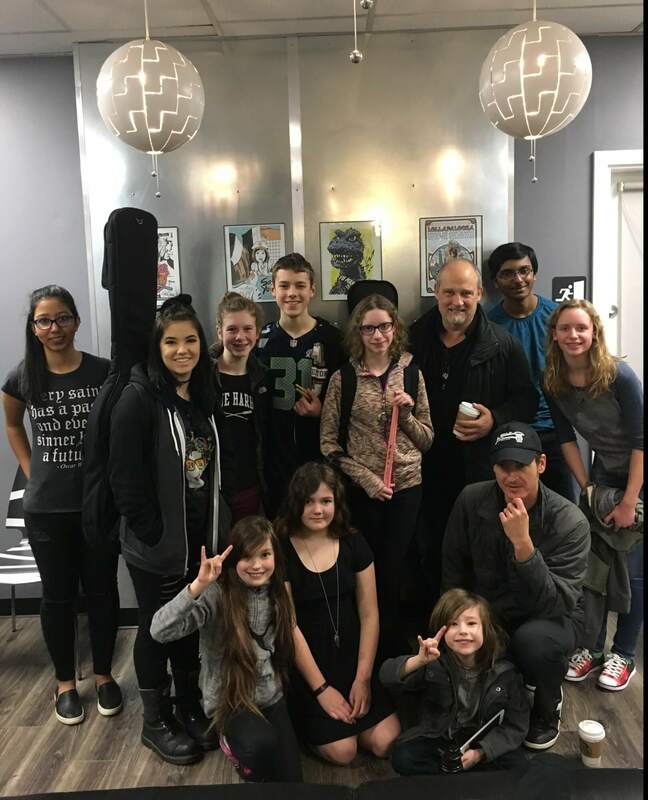 In his time as a guitar teacher and bass guitar teacher at School of Rock Issaquah, he has become an active and eclectic member of the music scene. He is the bandleader of both the experimental jazz trio Memory Unit and the fusion quintet J-Tone, and has been a part of various other artistic projects. He is also a member of the San Jose-based ska/funk band The Frenzys since 2011 and has recorded and toured extensively with them. As a composer, he has written for Quince Ensemble and Inverted Space Ensemble, as well as a variety of other chamber groups. He spent four years at Cornish College of the Arts, studying with mentors Chuck Deardorf, Kerry O’Brien and Tom Baker. Originally from San Jose, California, he began playing classical bass at age 11 in a chamber setting and has performed with San Jose Chamber Orchestra and Cambrian Symphony. 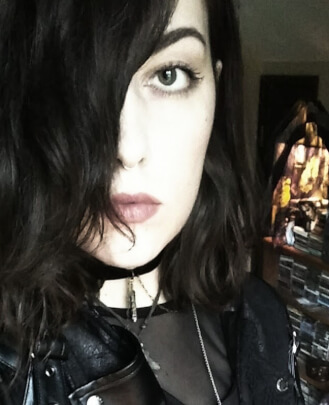 Mimi Hubbard is a musician, multi-media artist and goth rock enthusiast born and raised in Issaquah. 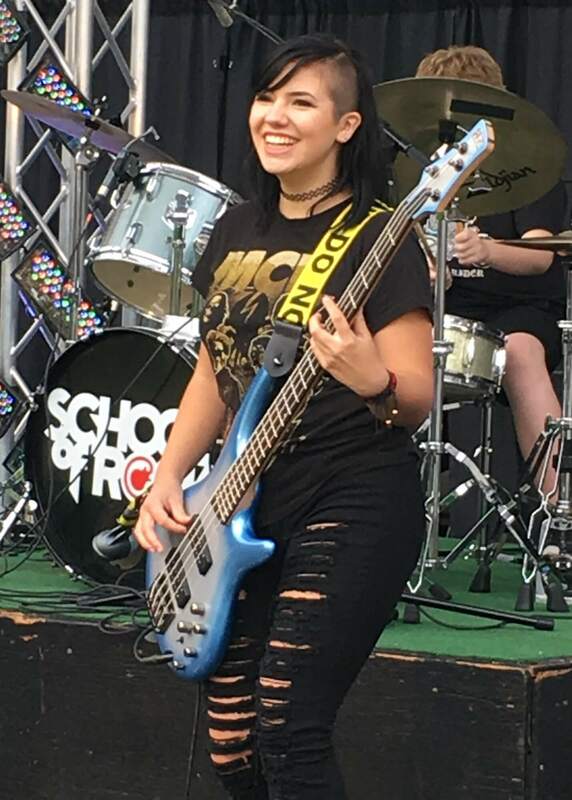 She grew up playing piano and cello, but has been a part of School of Rock Issaquah’s Performance Program playing bass and guitar since 2016. 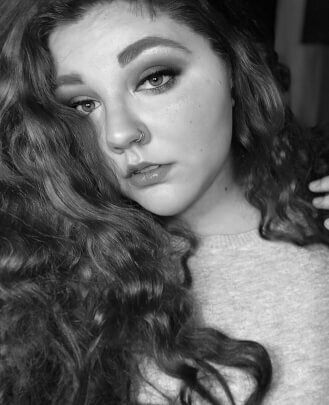 Aside from music, she is passionate about slam poetry and rollerskating. Additionally, she prides herself on knowing the lyrics to every Radiohead song. 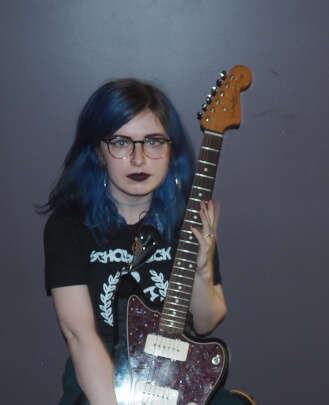 Mimi is beyond stoked to join the School of Rock Issaquah team as a Studio Coordinator and hopes to serve as a friendly face at the front desk. Justin Clements' view is that music is at its best when it is authentic, organic and a little quirky. Justin takes his cue from a lifetime spent performing and pursuing music as a way of life. A Bostonian by birth and a Virginian most of his life, he has recently found his home among the evergreens of the Pacific Northwest. This change of pace from the East Coast bustle to the West Coast has opened the doors to a bevy of creative inspiration. He is excited to bring his passion for music to School of Rock Issaquah as a guitar teacher, vocal instructor and piano teacher.